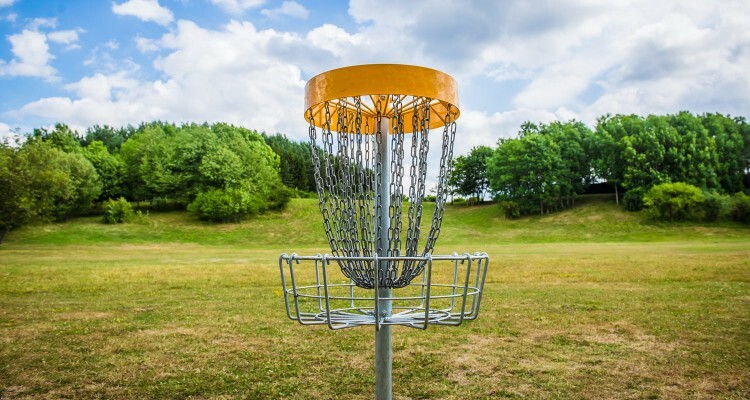 As the Disc Golf Experts, Innova can help you maximize your disc golf fun and revenue. Busy courses with on-site concession facilities can enjoy annual sales of $50,000 or more from golf discs and accessories alone. Snack and beverage concessions can generate considerable additional revenue. Parks that already have on-site personnel or concession operations can easily begin sales of golf discs. Facilities with on-site tennis pro shops or traditional golf pro shops can add a complete line of golf discs and merchandise with a minimal investment. Another option is to contract with a private operator to set up a full line pro shop. This can generate revenue through leasing payments and/or a share in the revenues from sales and pay-to-play fees. Innova offers a complete line of golf discs, equipment, accessories and apparel. Call for complete details on how to offer disc golf merchandise sales at your facility. You can increase awareness of disc golf in your community and generate revenue through organized events. Custom disc sales with event information and custom artwork can help generate additional revenue for events. Provide an extra boost to on-site sales with the addition of custom stamped discs and mini markers. We can hot stamp your logo or artwork on your choice of golf discs. We can also place full color artwork on select disc models. Many players enjoy purchasing custom discs as souvenir reminders of your disc golf course. Call for complete information, disc model availability and pricing.